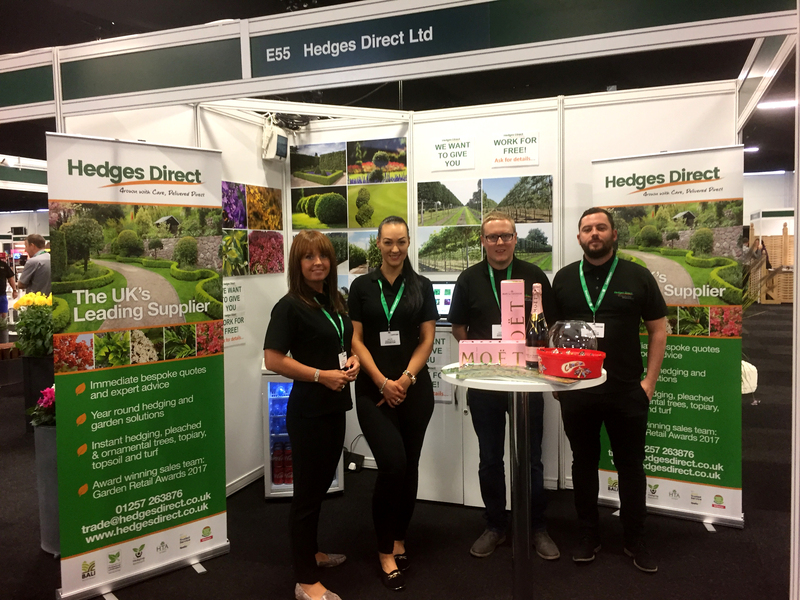 Recently Hedges Direct attended the annual Landscape show. 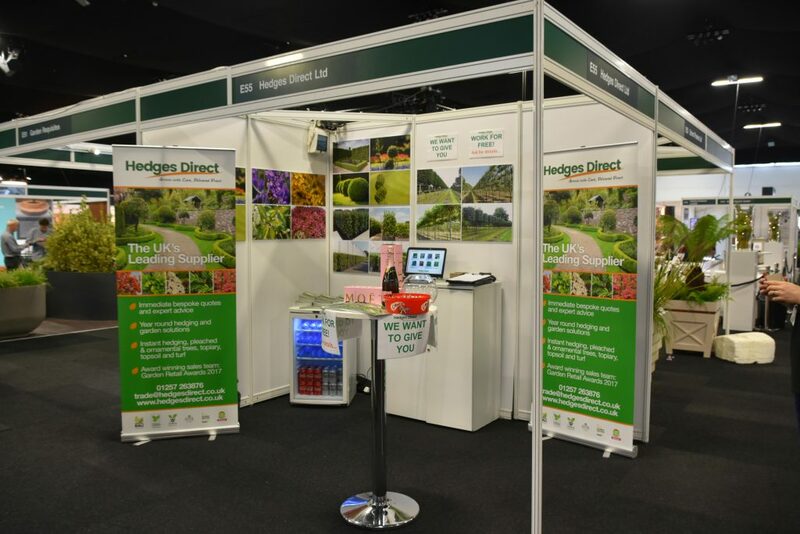 “A trade event dedicated to qualified garden designers, landscape architects and contractors. It is a platform for them to network and source market-leading products to use in high end projects worldwide.” taken from landscapeshow.co.uk. 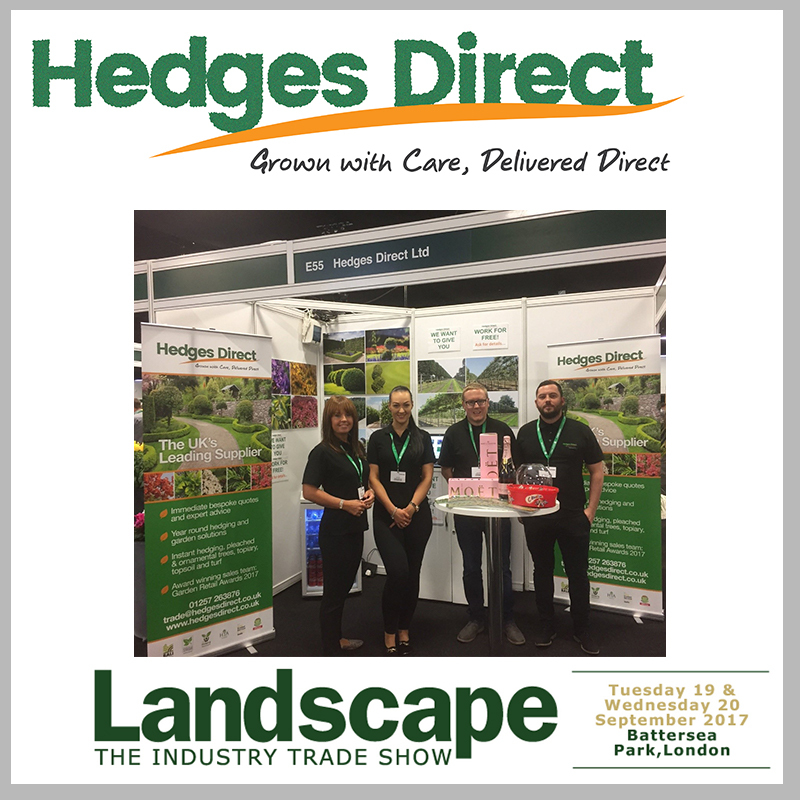 The team chatted to many landscapers about what we do how we can help. 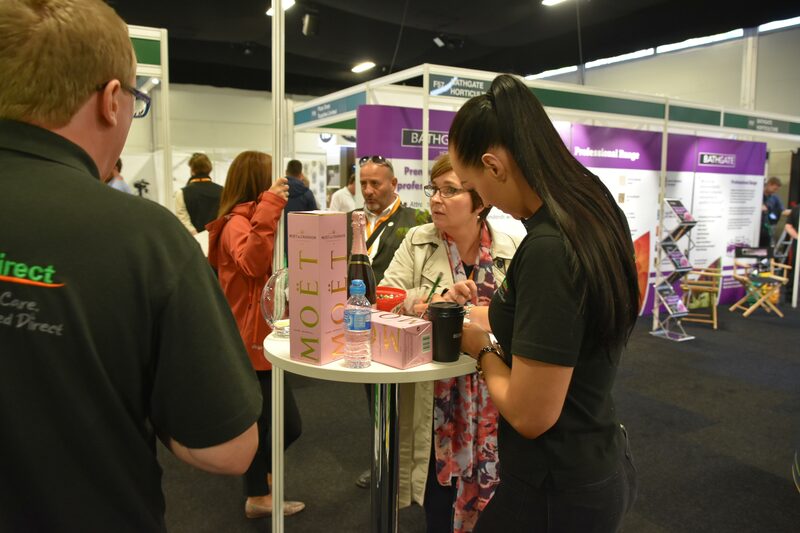 It was great for the team and the day was filled with giving and receiving advice and knowledge, we also gave away a free bottle of bubbly to a lucky winner! We can’t wait for 2018. 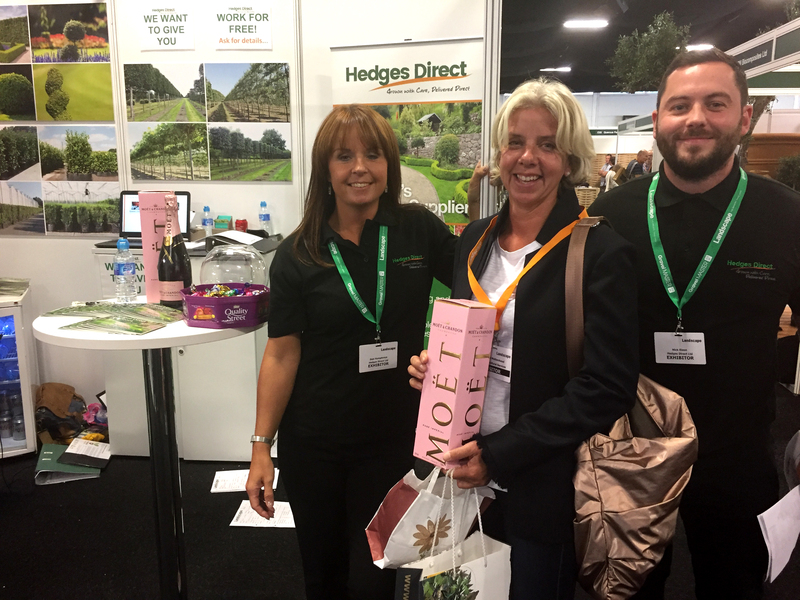 So why do Landscapers use Hedges Direct? Our friendly staff are on hand 6 days a week (7 in peak seasons) to offer immediate, bespoke quotes guaranteed to beat our competitor’s prices and unrivalled advice should you need it. Available by phone or email and if you’re busy at the time but want to talk to our staff, you can request a call back and one of our team members will get back to you within the hour. In addition to our wide selection of hedging, we offer pleached, topiary, ornamental trees, turf, and a selection of the best planting essentials in the market. Using our experience in dispatch and logistics, we can assure our landscapers that our delivery is made accurately and on time. Most orders are despatched within 3-5 working days with the option of next day delivery available, just call us on 01257 263873 when placing your order to see if we can get your plants to you the following day. We can guarantee landscapers AM delivery at no extra cost or at a time more suitable to them at a location of their choice. We don’t require a signature upon delivery so we can deliver them to the project location before you arrive. We take great care in selecting our currier partners so our plants arrive to you in perfect condition. We like to save landscapers money whenever we can so for order over £50, delivery is on the house!